Mother’s Day is just around the corner. Children will enjoy these Mother’s Day movement activities as they move like the baby and mama animals. 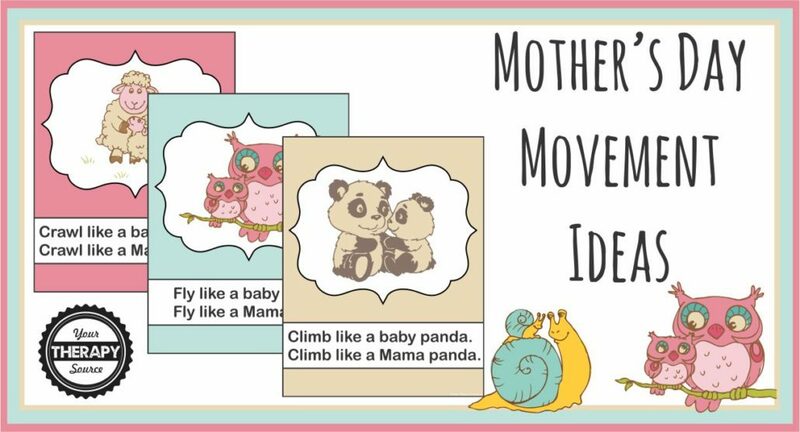 Below are some ideas from the Mother’s Day Movement Cards and Games complete packet. You can download three sample pages for the full color posters. Encourage the children to make small movements while moving like the baby animals and larger movements while moving like the mama animal to practice grading muscle control. Fly like a baby owl. Fly like a mama owl. Crawl like a baby lamb. Crawl like a mama sheep. Climb like a baby panda. Climb like a mama panda. Slither like a baby snail. Slither like a mama snail. Walk like a baby chick. Walk like a mama chick. Trot like a baby zebra. Trot like a mama zebra. Leap like a baby frog. Leap like a mama frog. Move like a baby calf. Move like a mama calf. Stand tall like a baby giraffe. Stand tall like a mama giraffe. Waddle like a baby penguin. Waddle like a mama penguin. 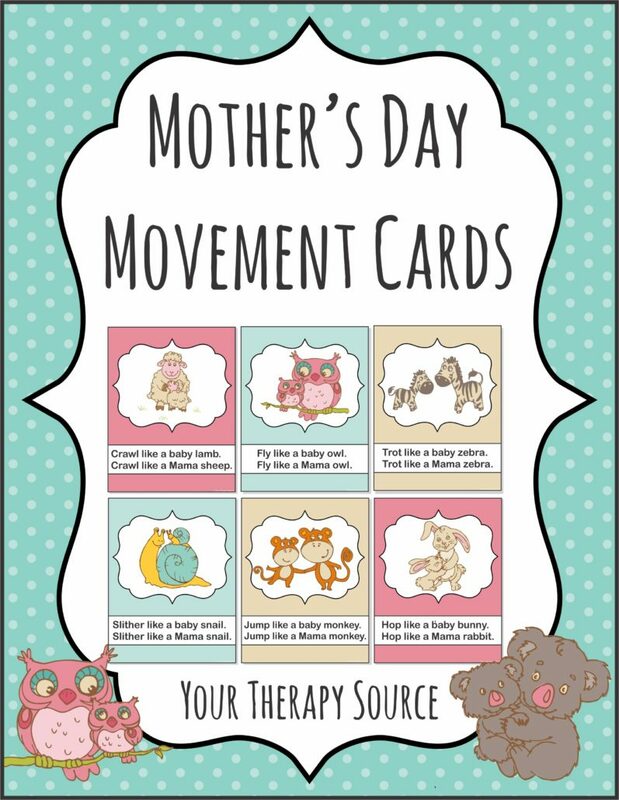 To get all the movement cards and 2o suggested games to use with the cards, check out the complete Mother’s Day Movement Cards and Games.